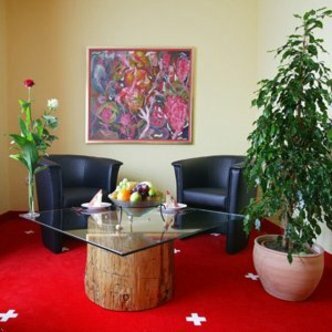 Welcome to the TOP ART Hotel Schweizer Hof, the 3 star hotel with excellent transport connections. Enjoy the friendly atmosphere, bright and generous facilities. We place special value on the quality of our services - regardless of whether you are staying on business or pleasure. All 100 rooms feature a full range of modern amenities. For our conference guests we provide five modernly equipped conference rooms. For all guests arriving by car indoor and outdoor parking spots are at your disposal.